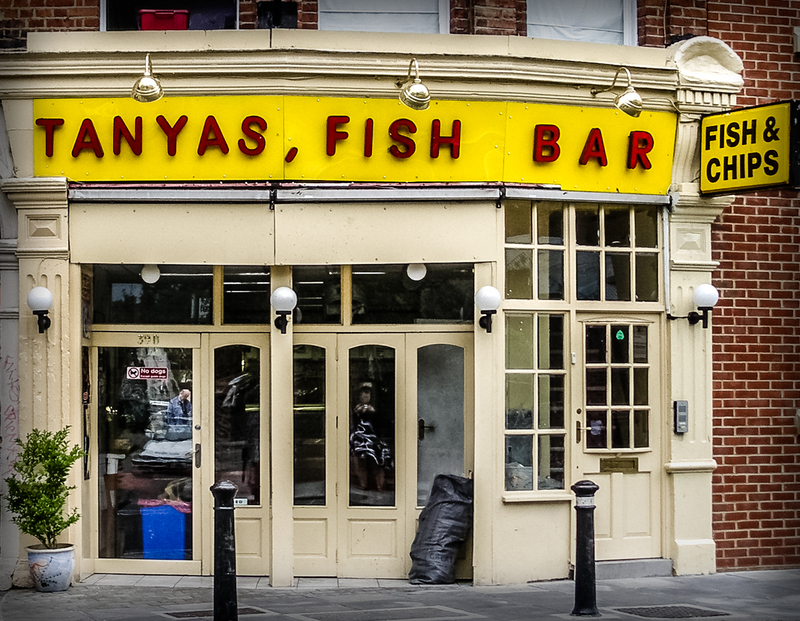 Tanyas, Fish Bar, 39b Barnes High Street, Borough of Richmond upon Thames, London SW13, 2006 • Rogue comma alert (and the letter spacing is pretty wonky too). By 2012 they had gone with a punctuation-free red Coca Cola-branded sign. It still there in 2017, but has since closed down.